Advices and Queries no.35 - Respect the laws of the state but let your first loyalty be to God's purposes. In the authorised version of Quaker history it is received wisdom that James Nayler, although a man of deep spirituality with a significant gift for preaching and writing, was an unstable and ‘Ranterish’ character who brought the Quaker community into disrepute. This perspective assumes that it was Nayler’s conduct in Bristol in 1656 that forced the movement to exercise greater control over its more turbulent adherents by establishing a system of corporate structures and community discipline. I want to argue that modern Quakers should question this received wisdom by adopting a sceptical and critical approach to all narratives that seek to explain events in a way that blames the victims for the suffering and persecution they endure. I will try to do this with reference to the actions of Jesus in ‘cleansing the Jewish Temple’ and modern examples of civil disobedience. The case was used to maximum effect for propaganda purposes and in the aftermath Quakers suffered more intensive persecution at the hands of the authorities. 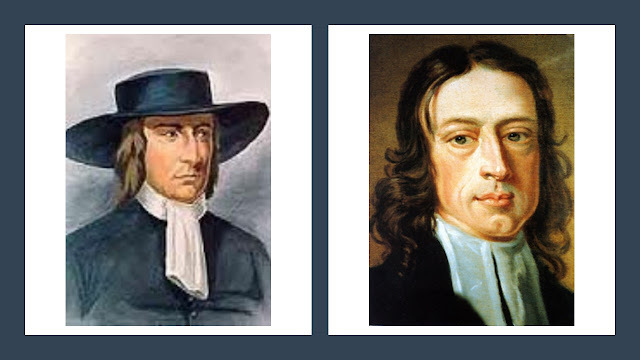 Nayler was all but disowned by significant sections of the Quaker movement due to the alleged damage he had caused and for daring to challenge the leadership of George Fox (there had been significant conflict between the two men in the lead-up to the Bristol incident and Nayler’s followers were instrumental in pressing his leadership claims). 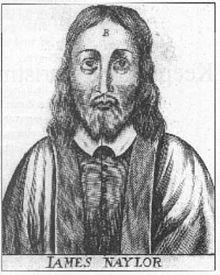 Although Nayler was later released from prison and reconciled with the wider Quaker movement, his health was broken and he died in October 1660 after being robbed while travelling home to Yorkshire to visit his family. Jesus’ ‘triumphal’ entry into Jerusalem represents the beginning of the end of his ministry. Shortly after this event, Jesus visited the Temple in Jerusalem which was the centre of Jewish worship and viewed figuratively as the ‘footstool’ of God’s presence. It is difficult to over-estimate the religious and political significance of this sacred place. 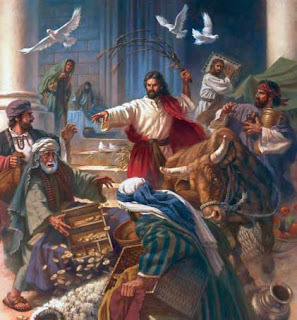 Having witnessed what was going on in the Temple during his first visit, Jesus returned the next day and drove the money changers and all those involved in buying and selling from of the Temple courtyard accusing them of turning it into “a den of robbers”. It would appear that this action sealed Jesus’ fate. The Sadducees, who were part of the Jewish elite and collaborators with the Roman occupiers, decided that Jesus was a subversive and a threat to social order. In order to protect their power and privilege, he had to be neutralised. Not long after, Jesus was arrested by the Temple authorities who, in collusion with the Romans, had him executed by crucifixion. His followers scattered and the Jesus movement appeared to have been crushed. As we know however this was by no means the end of the story. How do we respond to the actions of Jesus in the Temple courtyard? If we apply the approach traditionally used to interpret the ‘Nayler incident’ we will have to conclude that Jesus’ behaviour was irresponsible, blasphemous and downright provocative. It was bound to get him into trouble, endanger his followers and bring his movement into disrepute. He deliberately caused a disturbance within Judaism’s most sacred place and threatened social order in the circumstances of Roman military occupation. Was this not madness? Did Jesus have a death-wish? In the modern era we have seen many important examples of individuals and groups choosing to consciously break the law or contravene social conventions as a form of non-violent action. The architect of modern non-violent resistance, Mohandas Gandhi, used a method of non-violent direct action he called Satyagraha in the struggle for Indian independence. 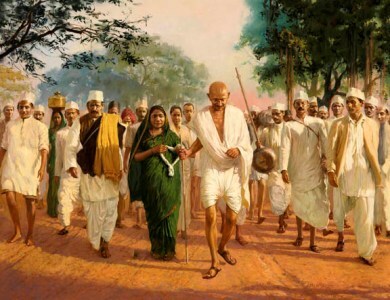 In the Salt March of 1930 Gandhi organised a massive campaign of civil disobedience to protest about the British monopoly control of salt supplies. This involved a range of unlawful acts including tax resistance and led to beatings and imprisonments on a large scale. 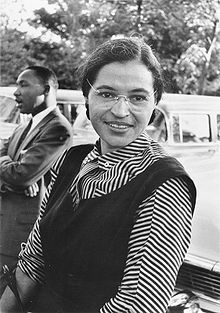 In the US State of Alabama on 1 December 1955 a Black women by the name of Rosa Parks refused a bus driver’s order, based on State law and practice, to give up her seat for a white passenger. She was arrested and jailed. This act of disobedience prompted the Montgomery Bus Boycott and galvanised the modern American Civil Rights Movement. In this struggle for racial equality many activists were beaten, jailed and murdered by white racists. 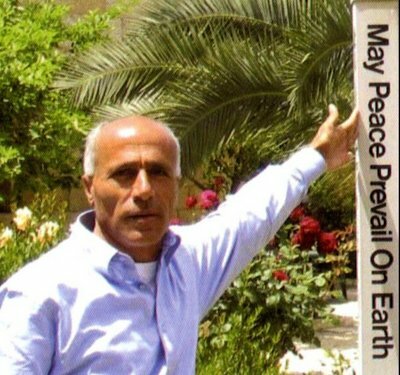 In 1986 the Israeli technician Mordechai Vanunu, outraged by his government’s covert development of nuclear weapons, passed information about this programme to the British press. He was then lured to Italy by a Mossad agent, where he was drugged, kidnapped and transported to Israel to be tried in secret for treason and espionage. Following his conviction he was imprisoned for 18 years. Much of this time was spent in solitary confinement. Since his release in 2004 he has suffered severe restrictions on his speech and movement. How do we respond to the actions of these people? If we apply the approach traditionally used to interpret the ‘Nayler incident’ we will have to conclude that their behaviours were criminal, seditious, treacherous and knowingly designed to undermine law and order and social well-being. What they did was bound to get them into trouble, endanger their communities and bring their beliefs into disrepute. They deliberately broke the law and provoked conflict in sensitive and difficult circumstances. Was this not madness? Did they all have a death-wish? Of course, how we respond to these examples depends on where we stand on the issues concerned. Quakers and many other people would regard Jesus, Mohandas Gandhi, Rosa Parks and Mordechai Vanunu as heroes, liberators, justice-seekers and role-models but to those in power they were dangerous, they were the enemy. They threatened the very values, beliefs and practices that bind societies together and they undermined the security and well-being of God’s favoured nation or empire. Throughout most of the 1650s the burgeoning Quaker movement waged a provocative but non-violent spiritual campaign (the Lamb’s War) against the established church and the Commonwealth Parliament. They disrupted church services, confronted the clergy, disputed with opponents in public, refused to show deference to their ‘superiors’, staged startling happenings such as ‘going naked as a sign’, and dispensed threatening prophetic warnings to those in power. Not surprisingly, they were regarded by those in power as a very serious threat to social order at a time of great political turmoil. This is why they made an example of James Nayler and used his actions as an excuse to persecute the Quaker community as a whole. What provoked radical groups such as the Quakers was the failure of the commonwealth regime to deliver the promises made during the English Civil Wars that victory would lead to far-reaching social, political and religious reform. The expectation that a new society would be created based on greater equality, democracy and religious freedom was disappointed. For much of the period, the country was under military dictatorship, dissenting groups were persecuted and the army was busy slaughtering thousands of people in Ireland. 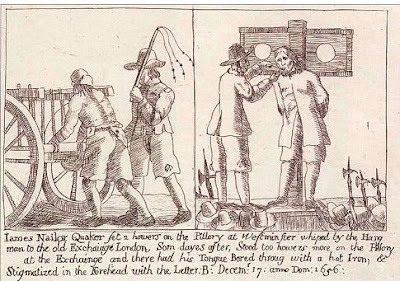 In these circumstances to hold James Nayler responsible for his punishment and the persecution of the Quaker community is simply to blame the victim. 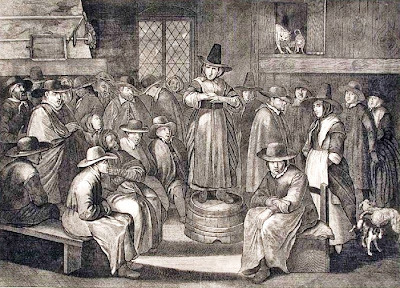 Nayler’s behaviour at Bristol was entirely consistent with the essential character of the early Quaker movement. His actions involved no violence, no coercion and no threats to people or property. He simply enacted an outward physical sign representing what he had found to be true inwardly and spiritually. It was those in power who illegally tried James Nayler and tortured him almost to the point of death. It was those in power who flogged Quakers in the market places, locked them in the stocks and the pillory, provoked mobs to attack them and threw them into disease-ridden dungeons at the mercy of brutal jailors. The time has come to stop blaming the victim and instead defend James Nayler as a Quaker hero, justice-seeker and role model. It's not a question of blaming the victim but it seems to me that Nayler's behaviour is not above criticism. After all, others, including Fox himself (who clashed with Nayler) endured persecution and imprisonment but in the case of Fox survived it and went on to win through. It may be harsh but it seems to me Nayler, for all his merits, was a loser while Fox was a winner. It seems to me that What happened at Bristol was extremely complex in terms of imagery and meaning. It is not possible to fully understand it without immersing oneself in the new covenant apocalyptic and embodied prophetic spirituality of first generation Friends. A key problem is that we have inherited only one side of the story; the one that is hostile to Nayler. This means that we can never come to firm and reliable conclusions about what happened. In one sense, Nayler definitely was the loser and history tends to be written by the victors. However, when viewed from a Christological perspective, this apprent defeat look more complex (e.g. his post-Bristol writings demonstrate a much deepend spirituality that might be regarded as his resurrection). The Quaker movement really needed both its Naylers (with his emphasis on kenosis, surrender, absolute dependence on the guidance of the Spirit and unwillingness to compromise with the violent and oppressive ways of the world)and its Foxes (with his organisational skills, pragmatism and willingness to make concessions to the ways of the world). It may be that the late 17th century and 18th century Quaker emphasis on order, conformity and respectability was a negative legacy of this lack of balance. In any event, I would maintain that the powers of the day were the ones doing the persecution (the floggings, the imprisonment and, in Nayler's case, the 'cruel and unusual punishments, not to mention slaughtering thousands of Irish people). Was Jesus' behaviour in disrupting the most sacred site of Jewish worship 'not above criticism'? Are we to argue that the Roman authorities were justified in nailing him to a piece of wood and leaving him to die in agony? I think we can agree that this is indeed an interesting set of issues, even if we disagree about interpretation.